It does not appear the Lions will be making a move up in the first round. Bob Quinn could foresee his team trading down but does not believe (via the Detroit News’ Justin Rogers) he has enough draft capital — one pick in each of the first five rounds — to vault up from No. 8. Detroit has been mentioned as a stealth quarterback seeker, but trading up for one does not appear to be in the cards. As the deadline for teams to wrap up pre-draft visits approaches, the Lions squeezed in a meeting with Clelin Ferrell, Dave Birkett of the Detroit Free Press notes (via Twitter). Detroit’s biggest offseason investment went toward its defensive end corps, in Trey Flowers‘ deal, but the Lions have met with other edge prospects as well. Both Brian Burns and L.J. Collier visited the Lions this month. Like Burns, Ferrell grades as a first-round-level prospect. 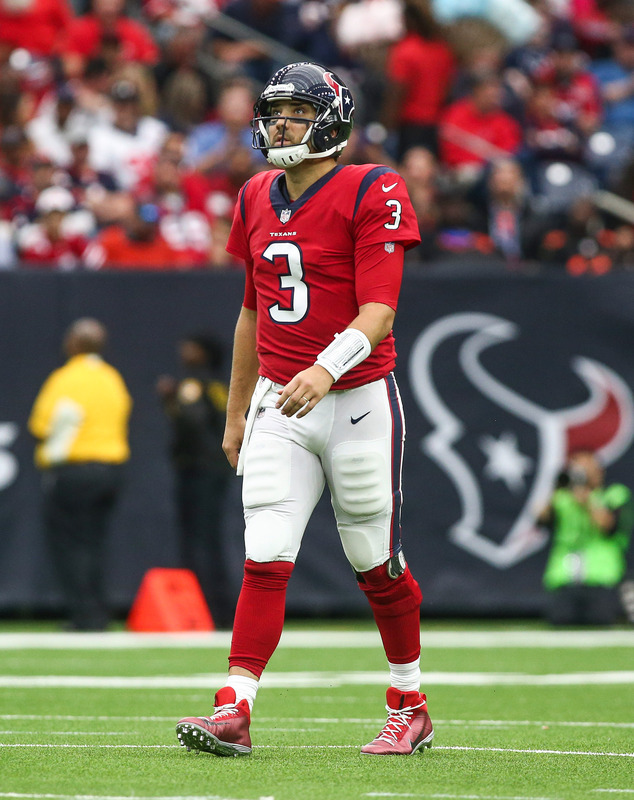 The Lions have signed free agent QB Tom Savage, per Tim Twentyman of the team’s official website (via Twitter). Savage has had a tough go of it since entering the league as a fourth-round pick of the Texans in 2014. He served as a backup in his rookie campaign, missed all of 2015 with a shoulder injury, worked primarily as a backup to Brock Osweiler in 2016, and finally got his chance to start in 2017. But he made it through just the first half of the first game of the 2017 season, and he was benched at halftime in favor of Deshaun Watson, whom the team had drafted in the first round that year. He reentered the starting lineup when Watson went down with an ACL injury, but he ended up putting together a 1-6 record and a 71.4 quarterback rating. Savage signed with the Saints last April but was cut before the start of the regular season, and he bounced on and off of the 49ers’ roster for several months. He finished out the 2018 campaign with the Bengals, who claimed him off waivers in November, but he did not see a regular season snap last year. For his career, Savage has a 2-7 record and has thrown for five touchdowns against seven interceptions. With Detroit, he will compete to serve as Matthew Stafford‘s backup. The only other QB currently on the Lions’ roster is Connor Cook, though the club may select a passer in this month’s draft. As Michael Rothstein of ESPN.com observes, the Savage signing means that the Lions will not be bringing back last year’s No. 2 signal-caller, Matt Cassel. Ole Miss wide receiver D.K. Metcalf will take a Top 30 visit with the Bills on Monday, according to Ian Rapoport of NFL.com (on Twitter). Metcalf, who boasts the most impressive physical tools of any wide receiver in this year’s class, could be an option for Buffalo with the No. 9 overall pick. Some have knocked Metcalf for his lack of natural catching ability, but he had no trouble reeling in the ball in 2017 when he averaged 16.6 yards per catch and scored seven touchdowns for Ole Miss. There’s also some concern about Metcalf’s health, but he was cleared for all football activities in January following his October neck surgery. Oklahoma wide receiver Marquise “Hollywood” Brown will visit the Buccaneers on Monday, a source tells Rapoport (on Twitter). The Bucs could use another wide receiver after losing DeSean Jackson and Adam Humphries, but it’s not clear whether they’d be willing to use the No. 5 overall pick at that position. Iowa tight end Noah Fant will visit with the Lions on Monday, Rapoport reports. Fant registered 518 receiving yards and a team-high seven touchdowns in his final campaign with the Hawkeyes. The Lions could use a player like Fant after Levine Toilolo, Luke Willson, and Michael Roberts underwhelmed last year. Recently, the Lions strengthened the TE group by adding Jesse James, but there’s still room for improvement. Georgia cornerback Deandre Baker will get together with the Steelers, per RapSheet. Last year, Baker captured the Jim Thorpe Award as the nation’s best defensive back. But, at 5’11 and 193 pounds, Baker doesn’t offer ideal size for the position. Washington tackle Kaleb McGary will visit with the Patriots on Monday and the Packers on Tuesday, Rapoport hears. There has been some speculation that McGary could be employed as a guard at the pro level. The Giants are hosting Clemson defensive end Clelin Ferrell and Houston defensive tackle Ed Oliver, Rapoport hears. The Giants are armed with picks at No. 6 and 17, though one of those selections may be spent on drafting Eli Manning‘s successor. Charlotte guard Nate Davis will take a Top 30 visit with the Bills, Rapoport hears. Details are in on C.J. Anderson‘s Lions deal, courtesy of Ian Rapoport of NFL.com. The veteran running back’s one-year agreement is worth nearly $1.5MM and can max out at $3MM (Twitter links). Anderson received $200K to sign. Anderson signed for one year and nearly $1.7MM with the Panthers last year. Both of these agreements represent steep pay reductions when compared to Anderson’s previous four-year, $18MM Broncos pact. But the 27-year-old back stands to play a key part in Detroit’s backfield this season, perhaps setting him up for another contract in 2020. The Jaguars have signed free agent offensive lineman Leonard Wester, the club announced today. 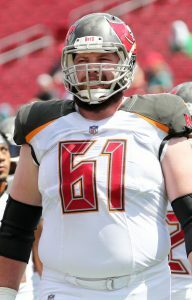 Wester spent the past three seasons with the Buccaneers before being non-tendered as a restricted free agent, and he’ll reunite with former Tampa Bay offensive line coach George Warhop, who now holds the same title in Jacksonville. While the Jaguars are set at left tackle with Cam Robinson, the club has a wide open slot on the right side following the release of Jermey Parnell, so Wester could compete for a starting job. Wester, 26, went undrafted out of Missouri Western State in 2016. He’s appeared in 27 NFL games (all with the Buccaneers), but hasn’t been asked to play much of a significant role, as he’s made only one start during his career. In 2018, Wester played 116 offensive snaps, which marked a career-high, but Pro Football Focus assigned him a poor grade of 46.6 for his performance. Before signing with the Jaguars, Wester also worked out for the Lions, Chiefs, and Falcons, according to Greg Auman of The Athletic (Twitter links).